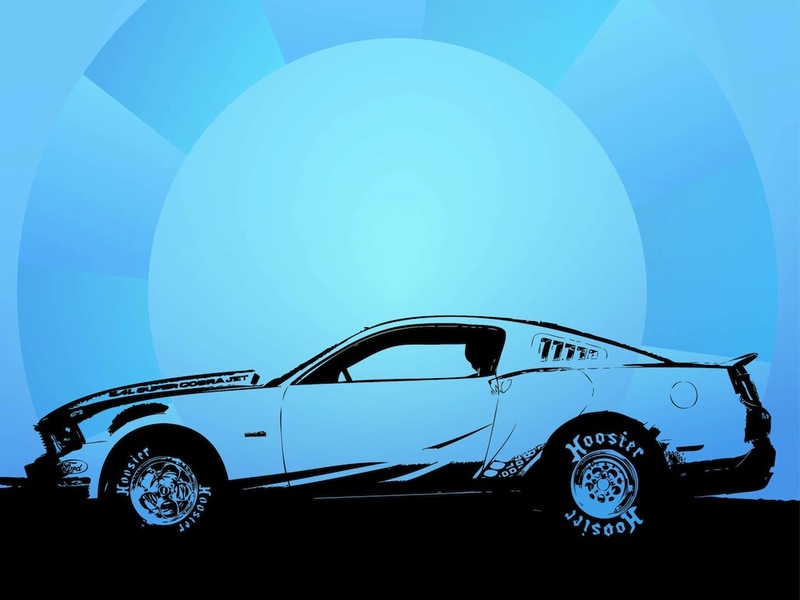 Vector graphics of a car sketch. Side view of a Ford Mustang AV-X10 with Hoosier tires. Basic outlines of the shapes of the car, dark ground under it. Free vector illustration for all car, automobile, vehicle, transport, car race, driving, adrenaline, poster, wallpaper and car repair designs. Tags: Automobile, Car, Drive, Fast, Ford Mustang, Hoosier, Race.